Offline personal wiki tool ConnectedText is ideal for college students, researchers, writers, and anyone else who needs the ability to mix freeform text with keywords and structure, or to perform queries and aggregations based on arbitrary criteria. The new version 6 adds long-needed enhancements to content aggregation, display, and searching. 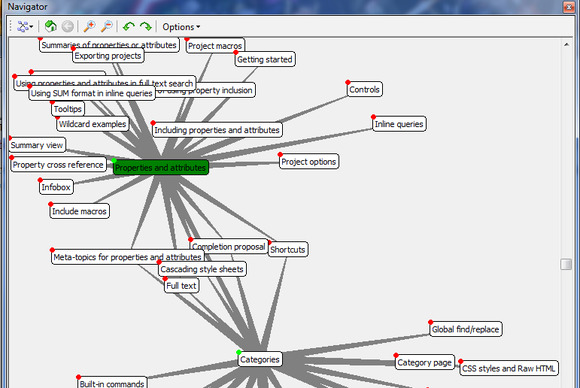 At long last, you can open multiple views of the same project in ConnectedText. With ConnectedText ($40. 30-day free trial), you create projects composed of topics. Editing a topic requires toggling into edit mode and using a simple markup language that rapidly becomes second nature. Flipping out of edit mode renders the topic according to a style sheet. Those who know CSS can edit the style sheet or enhance it in many ways, but I've found the default to be perfectly fine. Enclosing any word or phrase in brackets marks a link. Click the link to create a topic (if it exists already, you just jump to it). This makes content creation highly dynamic, for people who tend to think while they write. At the same time, those with more organized minds can create a topic fully, then go back and mark up keywords that deserve topics of their own. 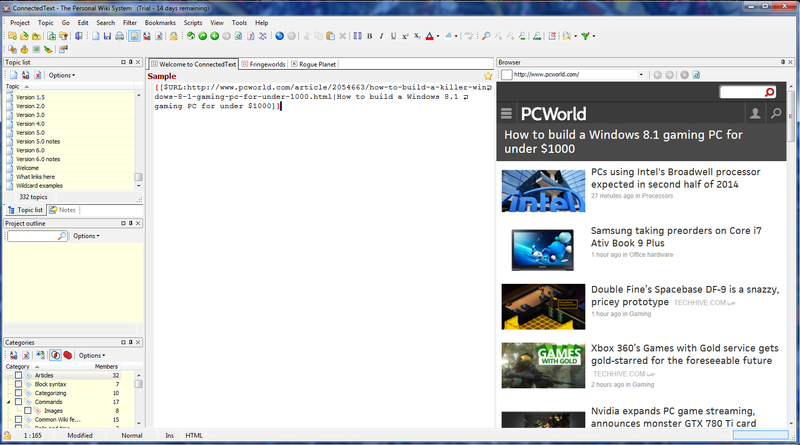 The built-in browser lets you drag URLs into your topic. 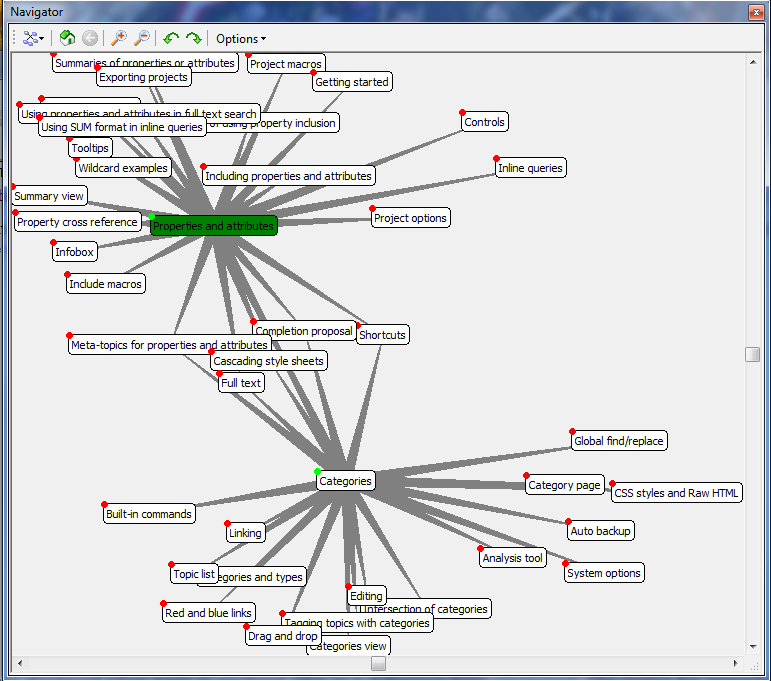 Flexibility is a watchword in ConnectedText. 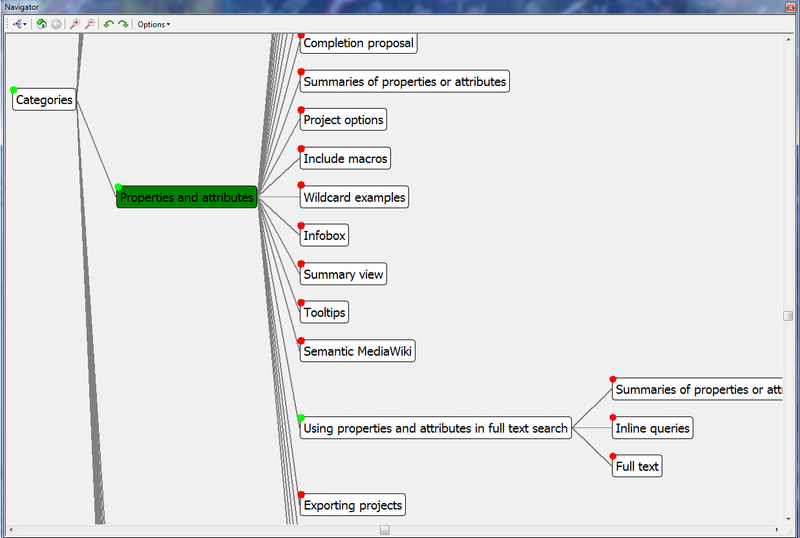 You can use attributes, categories, and properties to organize or find topics, or rely on full text queries. You can create very long topics, or split information into dozens of small topics, which can then be displayed as a single large topic by using queries or by explicitly including a set of topics, or both. 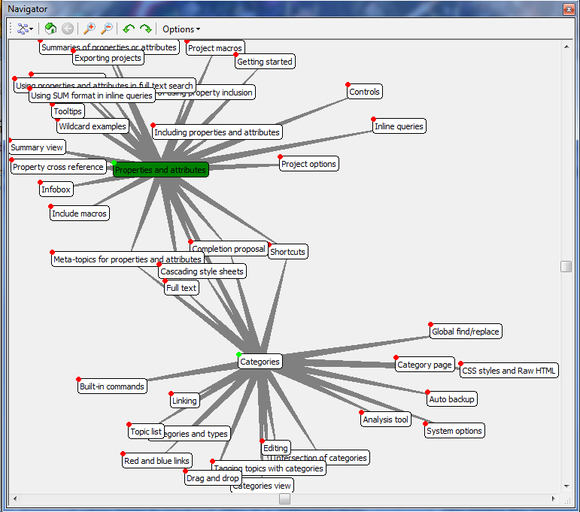 ConnectedText allows you to view your project as a web of connections. For any given project, you can only have one editing window, but you can now open multiple views into a single project in floating windows. This much-needed enhancement makes working with large projects much easier. Anyone who has used ConnectedText extensively would probably find this feature alone worth the upgrade. There are many other enhancements as well, such as a "trash can" to allow recovery of deleted topics, and the usual round of bug fixes and small upgrades. ConnectedText is not intended for group or online use. Its primary audience is individual users who manage a lot of non-tabular information (though clever use of properties, attributes, and queries can produce an approximation of a structured database, doing so is like using a screwdriver as a hammer). As a consequence, it really shows its strength in how many ways it offers to present, organize, and collate disparate bits of information, and the features in ConnectedText 6 play to those strengths. If you prefer, you can view your project as an ordered tree. A 30-day trial with no feature limitations (just a watermark and a startup reminder) should provide anyone curious about the potential of ConnectedText to test it thoroughly. If you've used and liked older versions of ConnectedText, this upgrade is well worth it. If you think you might need a personal wiki, check out the trial.